Sofia Lahti is as Curator of Collections at the Finnish Museum of Photography. She is an art historian with a background in medieval art and has been at FMP for over ten years. How long have you been a photography curator? I have worked as a curator since 2004, so that’s over 10 years already! Over that time, what are some of the changes that you have identified in your field? First, digital printing has taken over the darkroom processes – and now the old darkroom techniques are making a comeback! Digital photography has also made it much easier for museums to manage their collections databases. At the same time, museums have found new ways of sharing and interacting with their audiences in the internet and in the social media. In the world of curating, the amount of professional curators and producers has increased in Finland due to new lines of education. What’s your favourite photography project or object in the collection? Why? Favourites come and go depending on the projects I’m working on. Right now I’m in love with a home-made enlarger from the 1950s. It’s made from an old aluminium milk can, and the maker even invented and painted his own logo on the enlarger, although he was just using it for his hobby. I haven’t worked with our collection of photographic tools and gadgets before, and it’s a fascinating world. What’s the biggest influence on your curatorial approach? I’d still say it is the “To look or to see” exhibition I mention in my article (What About Finnishness, Photography and Art?) , a beautiful and intelligent interplay of art and cultural history. Why is a photography museum necessary? What differences do you think it holds over a photography department in an art or science museum? How does context in a collection influence photography? In a museum like ours, we have the unique multiple perspective on photography: the simultaneous interest in its technical, visual and cultural aspects. While photographs in the collections of culture-historical museums are mainly seen as visual documentation, in art museums they are seen as artworks among others. In a museum of photography, we can focus on the work of the photographer and the relation between the technique, the expression and the content. There are several types of audiences. School classes are important, but also art lovers and photography enthusiasts. We try to address them all – and to find new audiences, of course. How do museums manage this vast collection? (I suppose you mean how does our museum manage our collection?) We register everything in our database. It has at least three levels: 1) the acquisition, which can include several images, objects, documents or such. 2) the group level, in which we divide the acquisition into thematic or typological groups, such as prints, negatives, cameras – or according to different projects in a photographer’s career, for instance. 3) Finally, if possible, each image or object is catalogued separately. How does the museum make decisions on acquisition? We have frequent meetings about issues related to the collection, and in those meetings we also decide about acquisitions. Many things play a role: for instance the price, size, condition, and copyright status of the works and their relation to the already existing items in our collections. You mentioned that FMP does not collect photographic works such as video installations, although it would like to exhibit them. Why does FMP skip such mediums? We do not collect moving image. Each museum has to define its collecting policies, and for us it has been to concentrate on photography. Widening our scope to collecting video or multi-media art would require us to invest on their correct preservation and recruit staff specialized on those media, and at least for the time being, it is not possible. Fortunately, other museums of contemporary art are able to do that. When you suggest the collaboration between the FMP and other institutions, does FMP influence on or associate with the acquisition of their collections? No. Each institution decides on their own acquisitions. However, it might be useful to have more communication about acquisitions to avoid overlapping. In the ideal world, museum collections would complement each other. During an exhibition, a historic photograph might be able to provide aesthetic enjoyment to the audiences. Does this change influence on the characteristics of this photograph? Would it modify the status and categorisation of the photograph in the collection? For us, all photographs are here to be seen from several points of view: both historical and aesthetical perspectives can perfectly co-exist. Usually the images are catalogued and categorized according to their original genre, and that does not essentially limit the ways in which they can be used and seen in the exhibitions. And even if we show an image outside of its original context, we can simultaneously offer the information of its background and history to the audience. What’s the difference between curating art photography and other kinds of artwork? The main differences are based on their technical qualities, such as their higher sensitivity to light. Paper-based prints are also sensitive to changes in humidity and temperature. Another aspect is the availability of several prints from the same original. In the old times, a photographer would present his/her best print in the exhibition. Today, some photographers don’t work with the exhibition in mind at all, and the right way of exhibiting has to be found together with them. Does the museum collaborate with guest curators? Why? We do work with visiting curators once in a while. Sometimes they are the ones suggesting a new project, sometimes we invite someone to bring us their particular way of looking at things. It is always refreshing! China has a booming market for photography. Many cities plan to build their own photography museums. Similarly, international photography festivals are popular across the world. What do you think about the high price of photography? How does it influence on the acquisition of the museum? The growing prices of contemporary art photography are a wonderful thing for the artists and the art market, but as I mentioned in the article, it does have an impact on our acquisitions. Because of the current prices, we have not been able to collect the Finnish art photography of the two latest decades as comprehensively as we did in the 1990s. What do you think about the popularity of photography? How does it influence on your curatorial approach? It’s amazing – everyone is a photographer now. Our museum exists for all those people – they just need to find us! When people take photographs themselves, even if it is just with the mobile phone, they learn to look at photographs and appreciate the work of professionals. At the same time, amateur and snapshot photography shared in social media is a new and interesting aspect of photographic culture. We want to embrace and document that, too. Our big exhibition #snapshot, from last year, was focusing exactly on that. In our current exhibition, the Darkroom, we also show how old darkroom printing techniques are the models for the tricks and filters people now use digitally. Can you give any essential advice for Chinese collectors and Chinese photography museums in terms of curating and collecting? Specially for the museums: invest on good databases and storage spaces and specialized conservators. Take good care of negatives, too. Tell the artists not to ditch their vintage prints even if they might think their new ink jet prints are better. When you mention about updating the article, what do you want to change? And why? It seems so much has already happened since I wrote the article – but I ended up just updating the part about sharing our collections. We now have a Flickr page where we share copyright-free images from our collection for unlimited use. Also, we now have a small gallery (a corner of the big exhibition space) dedicated to the collections: it’s called the Angle. It will always have an exhibition related to our collections, and it can be a comment on our larger exhibitions, an example of a recent art or research project on the collections, or something completely different. Fangfei Chen is a Ph.D candidate of History at the University of Essex, with a primary focus on the research of photographic materials. She is from China and has an MA in Arts Market Appraisal from Kingston University, and an MA from the University of St. Andrews in the History of Photography. She has worked as Assistant Manager in the Beijing Huachen Auction House Photography Department, as well as working for several photographic archives such as in the University of St. Andrews. Her interviews and reviews have been published by Art Gallery, Art Guide and The World of Photography, among other publications. 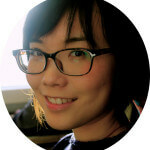 Her interests include the history of Chinese photography, the photographic market, management, and festivals. Reino Pietinen, Family Pietinen, 1910′s, Autochrome. Courtesy of The Finnish Museum of Photography. I.K. Inha，Boys at Hietalahti harbour. 1908, .Helsinki. Glass negative. Courtesy of The Finnish Museum of Photography. Virve Laustela, Courtesy of The Finnish Museum of Photography, 2015. Carl Klein（Atelier Universal）Ellinor Ivalo，Digitized from original negative. Courtesy of The Finnish Museum of Photography.